35. Learn what to do when you find injured or sick birds. We people have made the world so inhospitable for birds that every year over a billion are killed and millions, perhaps billions, more are injured by striking cars, windows, power lines, and communications towers; poisoned by pesticides and other toxins; oil soaked after spills; and attacked by cats and dogs. 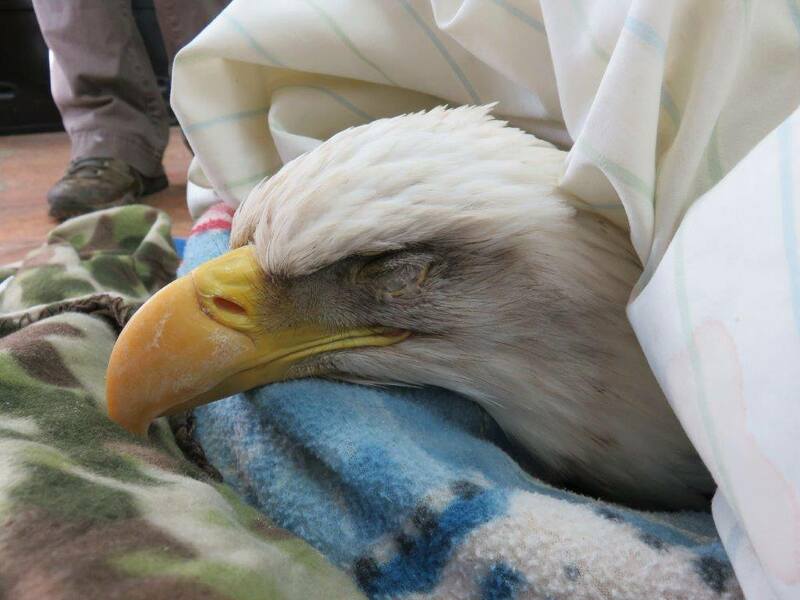 It seems fitting that when we are the direct cause of injuries to wild birds, we should do our best to help them recover. Many people believe that injured birds are less fit genetically and that it’s better to eliminate them from the gene pool, but most human-caused problems and even many natural causes of bird injuries are random, taking out fit and unfit individuals indiscriminately. Individual birds have value and deserve our respect and help for no other reason than simple humaneness. 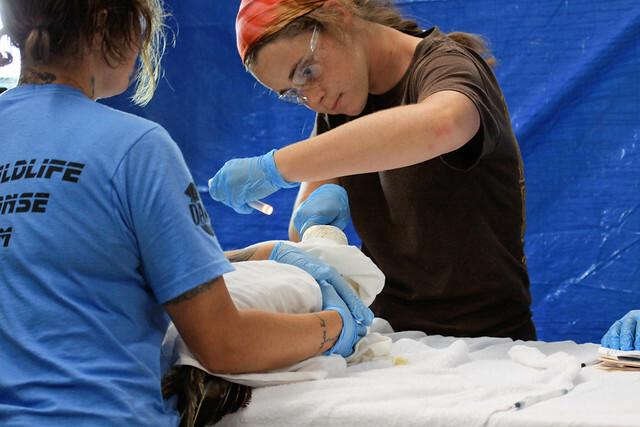 Working with even the most abundant species provides rehabbers with experience and knowledge that will come in handy when working with endangered and threatened birds. And most rehab centers provide valuable educational services using common birds, making the general public more aware of the problems wild birds face and how to better protect them. 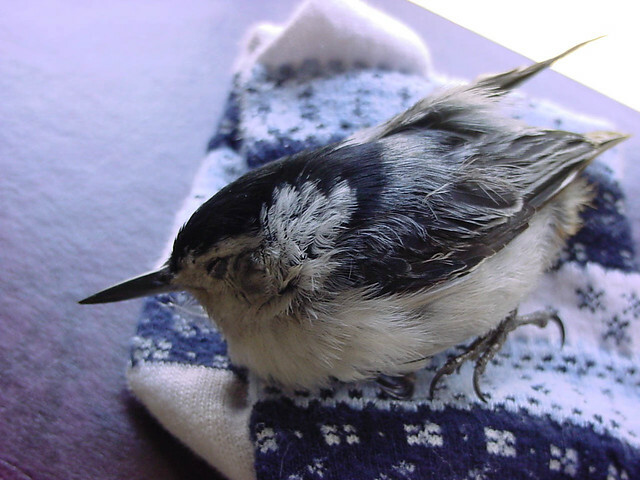 Sometimes, it’s more compassionate to leave a badly injured bird to die, when capture and confinement would distress it without relieving pain, improving its chance of survival, or removing a disease vector from the wild. But sometimes a bird’s life can be saved by taking it to a rehabber. Unfortunately, untrained individuals often don’t know how to capture an injured bird, safely transport it, or find a rehabber in the first place. If you find a bird on its side or one that seems dazed and unable to fly, far from any window, road, wires, or towers, it may be sick rather than injured. It’s difficult for inexperienced people to diagnose an illness or to successfully nurse a diseased bird back to health, and it’s illegal to hold a wild bird for any purpose without a license. Some serious communicable illnesses are possible, too. Although bird diseases are seldom transmitted directly to humans, there are exceptions. I became extremely sick after being bitten by a louse on a sick bird, and the disease organism was never isolated. Other rehabbers with many years of experience have never heard of another case like mine, so this is apparently a rare occurrence. Nevertheless, when you encounter a sick bird, you should take precautions to avoid getting sick yourself. If you find a bird that may have died from West Nile virus or another human health risk, contact your state health department or department of natural resources to find out if they are testing birds to verify the status of the disease in your area. If you find a sick bird that may be infected, call a professional rehabber to find out what to do. In some cases, rehabbers can’t take birds that may be infected, because this could put other birds in the facility at risk. The greater likelihood when you encounter a sick bird is that it has been poisoned with pesticides or lead. Of 4,000 dead birds necropsied in New York State, almost half had died from pesticides and other toxins. Birds can get sick from many commonly used lawn chemicals or from ingesting lead shot or sinkers. Although ducks and geese can be legally hunted only with nonlead shot, upland birds such as grouse, pheasants, and doves still can be legally shot with toxic lead in most places, even though we’ve known for decades that they too, along with ground-feeding songbirds such as bobolinks and meadowlarks, may ingest lead shot and be poisoned. Wear gloves to pick up any sick bird. 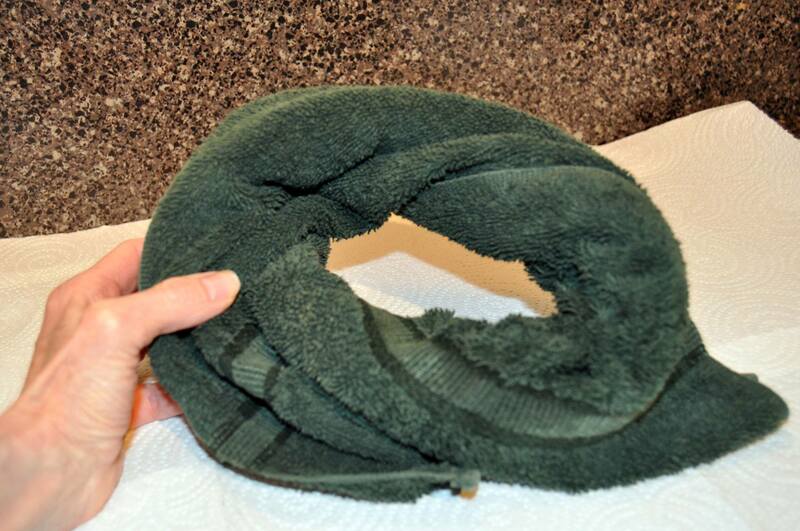 To capture a hurt or sick bird that is trying to flee, toss a lightweight towel over it. Place it in a sturdy box. If you happen to have a piece of Astroturf or some wood chips or cedar shavings handy, cover the bottom with that. Otherwise, paper towels work better than newspapers because they aren’t as slippery. 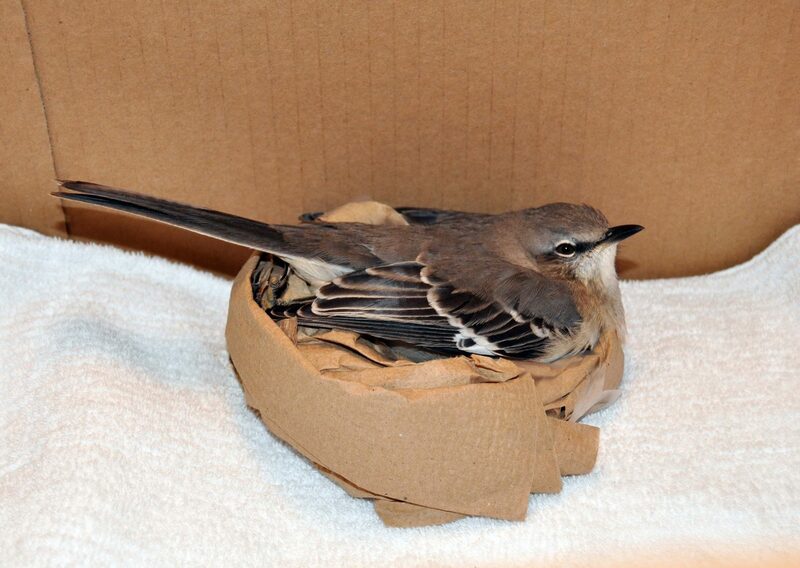 If the bird is unable to sit upright, prop it with a tissue “donut cushion” or wedged between rolls of paper towels. Never house or transport an injured wild bird in a cage, even temporarily; the bars will fray its feathers. To immobilize a badly drooping wing in a safe position to prevent further injury while transporting a bird, the best thing to use is Vet Wrap, a product that sticks only to itself, but unless you’re a doctor or a veterinarian, you’re not likely to have that handy. Hairdresser tape (the kind used to hold bangs in place) works well, too, but that can be hard to find. Duct tape is much too sticky, and cellophane tape is too stiff. Masking tape can be used, but it’s best to stick and unstick it on a table a few times to weaken the adhesive so that removal won’t pull out many feathers. Get any sick or injured bird to a licensed rehabber as quickly as possible. If you’re transporting a wild bird in your car, keep the radio off or at least set at a low volume. Fledglings have very short tails for a week or more after leaving the nest, and this is perfectly natural. If a bird’s tail feathers are pulled out, they will grow back in, typically within a few weeks. Many adult birds adapt quite well to flying without most of their tail feathers. I’ve watched two different adult chickadees lead normal lives after a predator had pulled their tail feathers out. 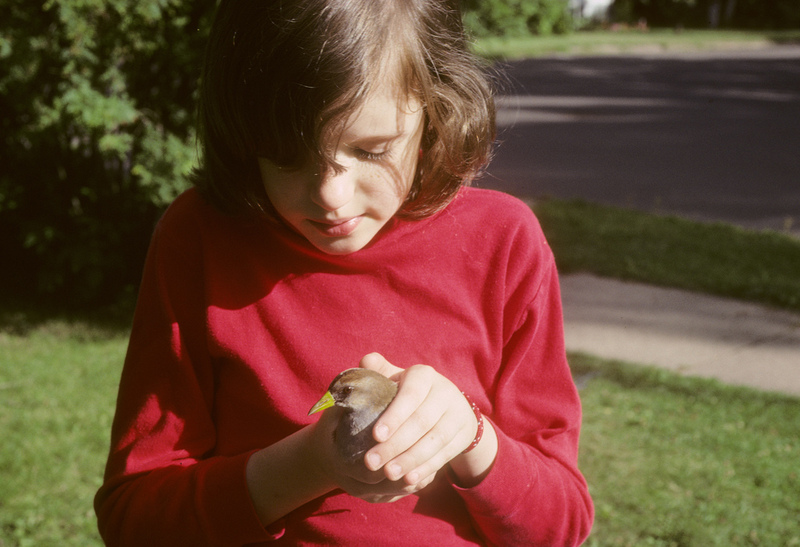 In both cases, it was easy to recognize the birds from day to day as the feathers grew in, so I was certain that they both recovered completely. If tail feathers are merely broken or frayed, however, they won’t be replaced until the bird molts. Licensed rehabbers often attach replacement feathers when necessary (called “imping”) but this is painstaking and requires expertise. It also requires feathers, which are illegal for non-licensed people to possess. Cat bites cause puncture wounds, and cat saliva is heavily laden with dangerous bacteria. If you find a bird that was attacked by a cat, get it to a rehabber immediately. Without antibiotics, it will certainly die within a few days, even if it seems fine initially after the attack. Make sure that you keep the number of the nearest rehab facility near your phone, with your other emergency numbers. Rehab facilities almost never receive government funding, so please support these centers generously.